We’ve all been paying extra attention to the Earth throughout the month of April as we celebrated Earth Month and Earth Day. 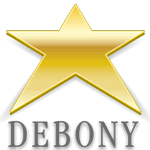 Here at Debony Salon, we want to extend the celebration and praise the Earth all day, every day. So, we have some special Earth Day specials to do just that! Did you know you can save 2,190 gallons of water a year, just by shaving three minutes of showering time off your typical routine. We know that three minutes can seem like a monumental amount of time, BUT we have some ways to make it easy! 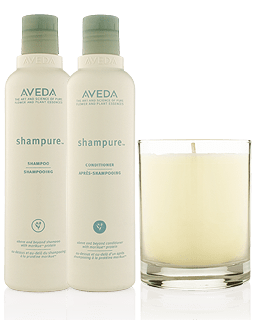 By using AVEDA’s ‘Shampure’ Dry Shampoo, you can skip a day or two of shampooing and still keep your hair feeling clean and fresh. Infused with a calming aroma of 25 pure flower and plant essences, this spray powder mist absorbs excess oil between shampoos. It revives your hair and makes it easier to style by providing an all natural grip. We have the entire Shampure collection here at the salon, including the candle, body lotion, and shampoo, and conditioner – for those days when you do wash your hair! 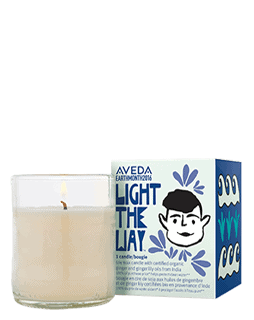 Debony Salon is also participating in the AVEDA “Light the Way” candle special. Benefitting countries who don’t have access to clean water, all the proceeds from these candles sold go directly to this cause. This year’s “Light the Way” candle has a warm, spicy aroma with certified organic ginger and ginger lily grown in India. The artwork featured on the candle’s box was drawn by children in India who have benefitted from this “Light the Way” fundraiser. These candles make heartfelt gifts for not only you or your loved ones, but for the countries benefitting from it. If you’re like us, then you probably don’t go too far without your refillable travel mug full of your favorite morning concoction. 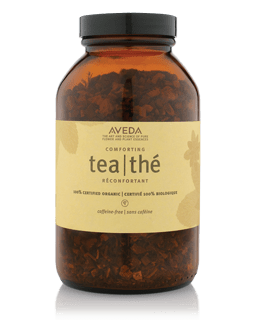 Try filling it with AVEDA’s Comforting Tea, which is a soothing herbal infusion of licorice root and peppermint. Available in loose leaf and in tea bags, it calms your senses, promoting a sense of well-being and tastes amazing! We’re excited to be a part of the celebration, and all of these AVEDA products do their part in reducing our impact on the Earth and are featured here at the salon.